Yesterday morning arrived in gusty, wet glory. 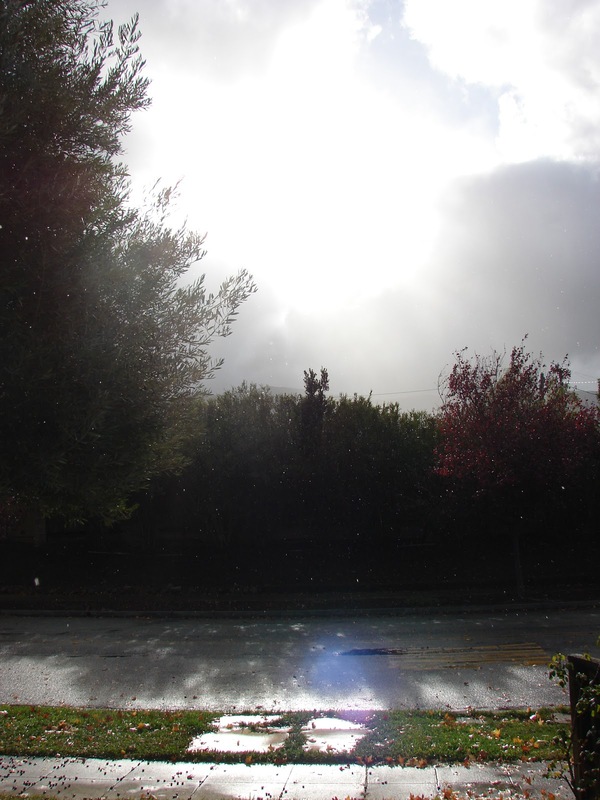 When I lived in Seattle, waking up to gray morning after gray morning, nothing but sunshine seemed beautiful. But here, where sunshine is the norm, a really stormy day almost takes my breath away with its power and awe-full majesty. Sheets of rain cascade and collide. 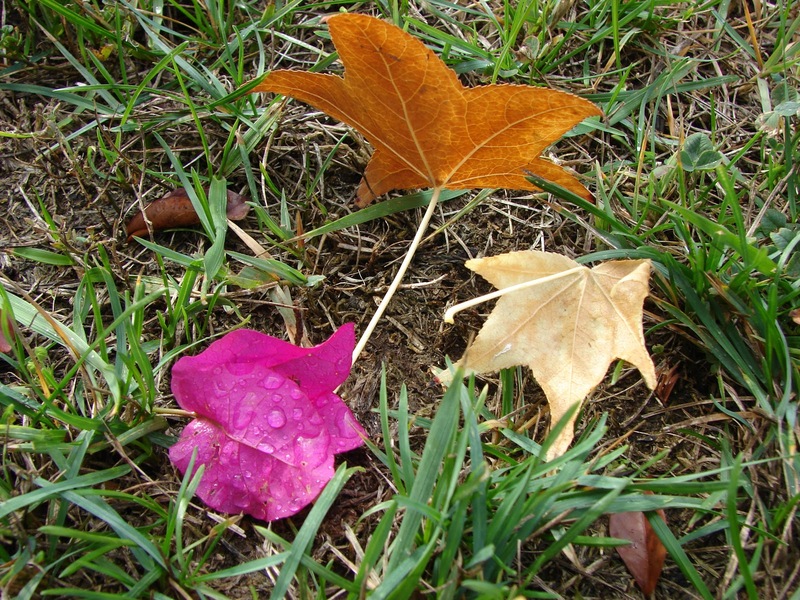 Leaves–mauve and orange and gold–scatter like trails of magic, effortlessly puffed down the street. Delicate tree branches bend and sway, threatening to snap at every moment in their reckless dance. It is inspiring as well as terrifying to watch. But what struck me most was what was left in the wake of the wind and rain. When the loud forces of destruction quieted, I went tromping around with my camera and galoshes, noticing the tiny, quirky miracles left behind. 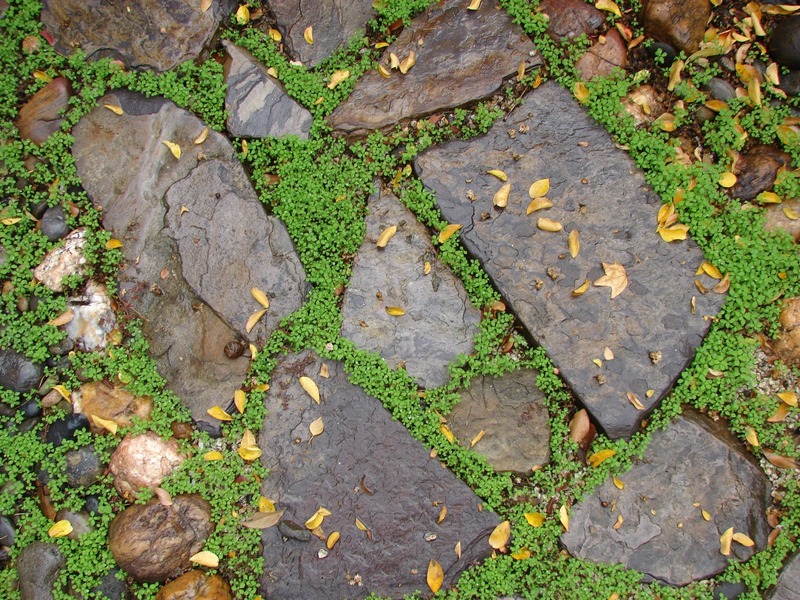 Things like mossy green baby-tears springing up between paving stones, the soft blooming to surround and overcome the hard. 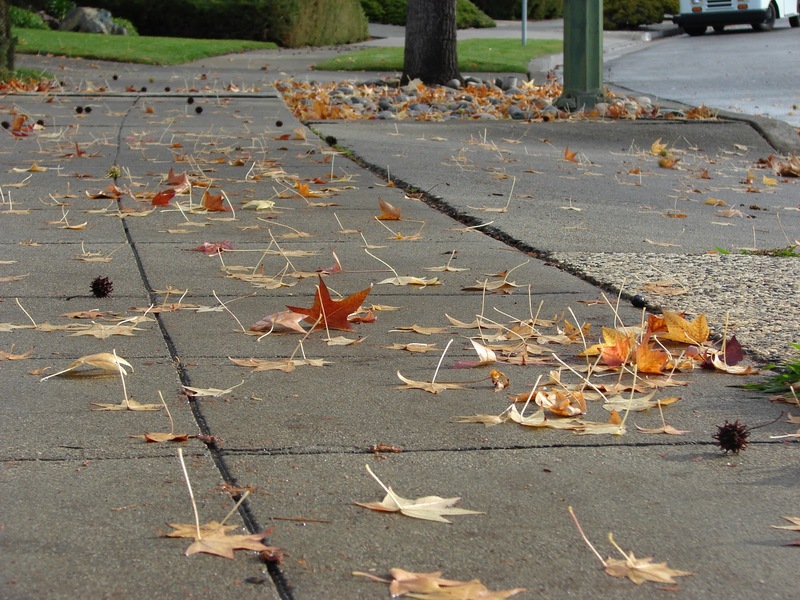 Or the fact that almost all the maple leaves were stuck face-down to the sidewalk, leaving their stems sticking straight up into the air like the tails of curious puppies. What I thought was most interesting of all, though, was the sight of our lawn. I looked out the window and noticed that the helter-skelter whipping and tearing of the storm-force had mingled dead autumn leaves with flowers from our bougainvillea vine. Life mingled with death, the shedding of a tree’s old coat beside pink crepe butterfly-delicate petals. The dying of the old year beside the flowering of the new. Autumn and spring scattered side-by-side. It made me think of Tchaikovsky’s Dance of the Flowers. It also made me think that even November storms that make the house creak, that strip the trees of all their finery, that force in bare branches and winter before I’m quite ready for them, can leave beauty behind them as well. 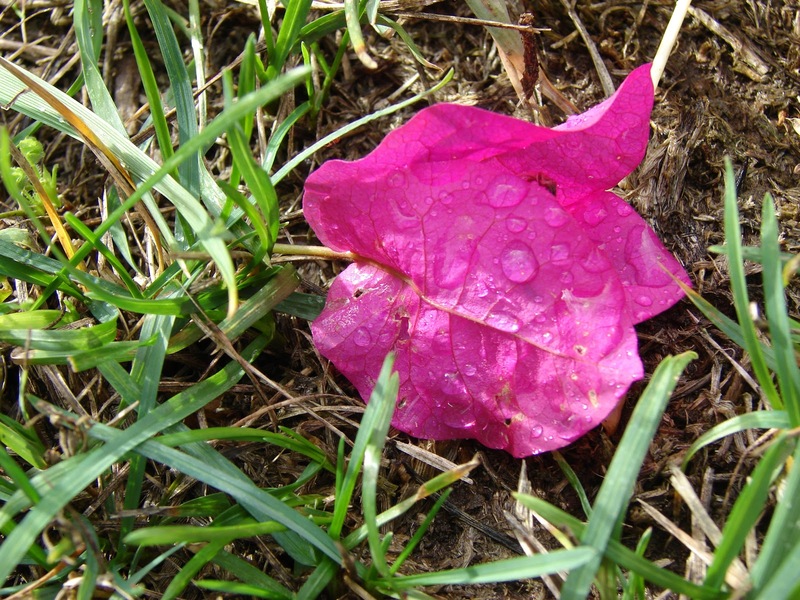 Gales can even bring the beauty, sometimes: the same violent winds that destroy can scatter the lawn with flowers. Maybe–perhaps even this–the beauty wouldn’t come without the storm.